Since returning to India after completing her B.A. 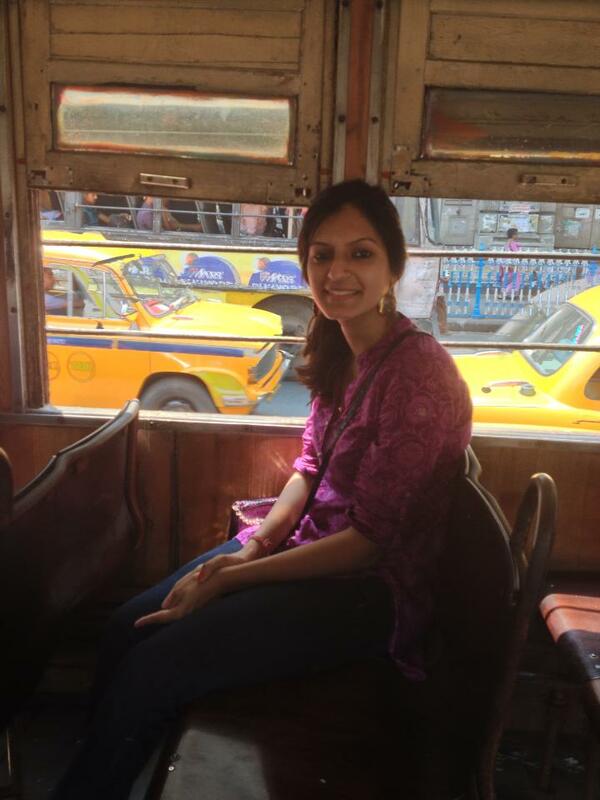 from Tufts University in Boston, Saanya has worked in Delhi on different initiatives that increase citizen engagement in India’s political discourse. She blogs about contemporary political and social issues when she is not curled up with a book at home, or out exploring new lands. You can read her work at www.sanyagulati.com and follow her on Twitter @BombayDelhiGirl. Saanya Gulati, an astute observer of South Asian politics, culture and society, files this report of her tryst with tea. Read more of her work at www.saanyagulati.com and on Twitter. I was a heavy coffee drinker during the four years I spent in the United States completing my undergraduate studies. My tryst with tea began only upon moving back to Delhi after I graduated. At first it was the elaichi-flavoured Tetley tea bags, which were quick and easy to make at home. Soon my mornings felt incomplete without a steaming hot cup of the strong beige liquid. I am accustomed to drinking my chai without sugar – the same way I would drink coffee – how else do you enjoy the real flavour? But unsweetened chai is a bit of an anomaly in India. 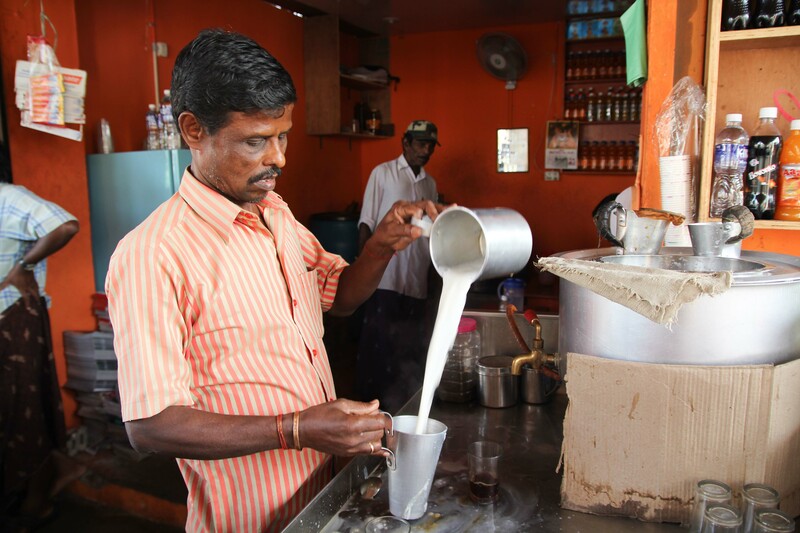 The first time I asked for chai without sugar at the tea-stall outside my office in Delhi, the chai wallah responded, “pheekee chai?” which literally translates to “bland tea?” – and thus I was outcast as a pheekee chai drinker, but a chai drinker nonetheless! 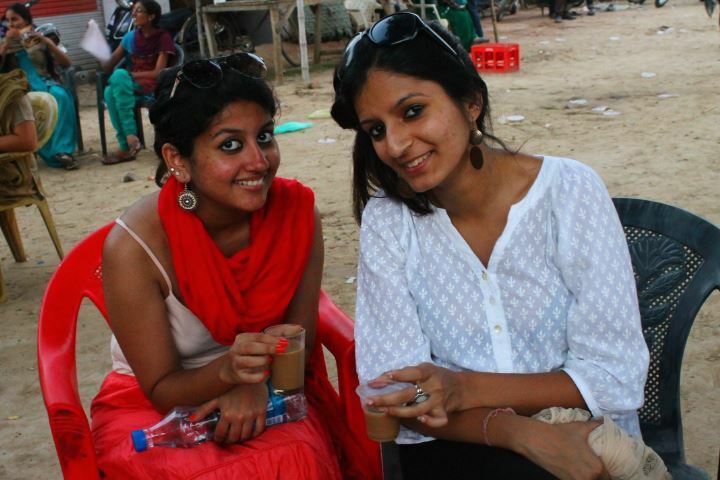 Saanya (right) and her friend Deepa enjoying chai in Amritsar. Two lions escape from a zoo and take different paths; one goes to a wooded park and is apprehended as a soon as he gets hungry and eats a passerby. The second remains at large for months. Finally captured, he returns to the zoo sleek and fat. His companion inquires with great interest, “where did you find such a great hiding place?” “In one of the ministries” is the successful escapee’s answer. “Every three days I ate a bureaucrat and not one noticed.” “So how did you get caught?” “I ate the man who served coffee for the morning break,” comes the sad reply. This example is apt for India, if you replace coffee with chai. I worked with a Member of Parliament in Delhi for a year, during the course of which I met several bureaucrats and government officials. Every meeting began with the customary offering of chai. We slowly sipped on the sweet milky goodness, while exchanging pleasantries. 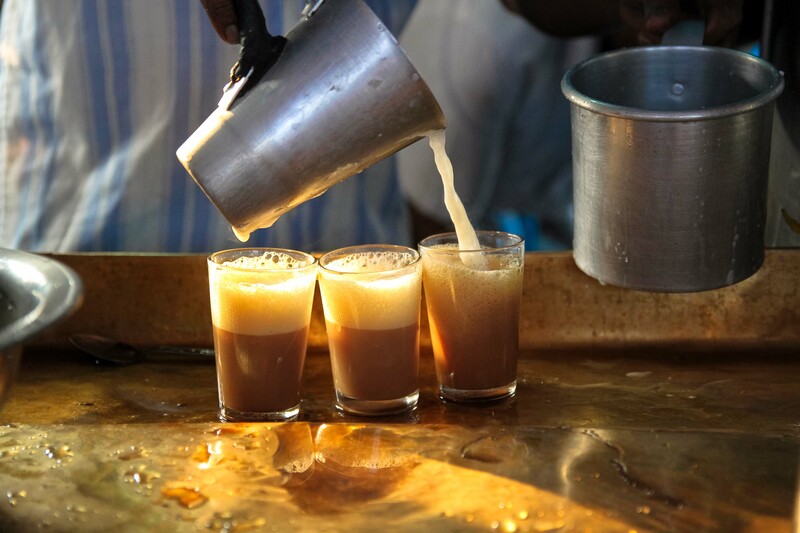 Chai is the desi way of ‘breaking the ice’ when you meet someone for the first time. You easily avoid the awkward silence by staring down into the swirling beige liquid, alternating between small sips and occasional glances at the person across from you. Soon I mastered the art of drinking chai in official settings. I also learnt early on to never say ‘no’ when offered chai in such official settings. My first such disastrous mistake resulted in standoffish behaviour from the staff of the official that I was to meet. The next time I visited, I made sure to accept the chai offer, and sure enough, I was chided for having previously refused! Luckily for me, social norm dictates that one chai acceptance neutralises a previous chai refusal. After many chai acceptances, I am now on good terms with the staff at that office. 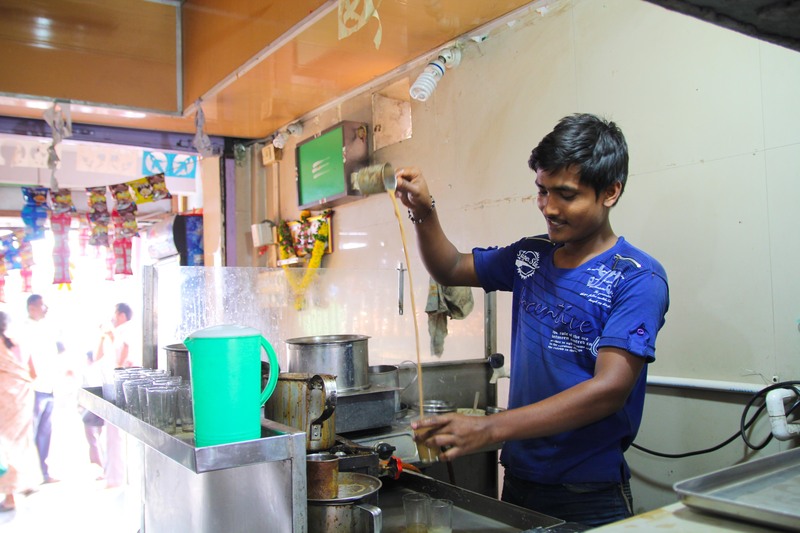 Chai has also been an integral part of my travels across India – if you are wary of drinking non-bottled water from obscure looking roadside stalls, opt for the chai. I am convinced that the over boiling of the liquid kills any infection or bacteria. This justifies the copious cups of chai I have consumed while waiting at stations, bus stops, and pretty much at any roadside. From Punjab, Rajasthan, Himachal Pradesh, Gujarat, Uttar Pradesh and Jammu, the chai culture prevails in most of the northern lands I ventured to. Waiting for the parade to begin at the Wagah Border in Amritsar, sitting across the Hameersar Lake in Bhuj with Gujarati folk music in the background, being woken up at an unearthly hour on a bus journey somewhere between Manali and Jammu, there are several memories that involve a cup of chai. Clearly, there is something indescribable about the goodness of garma-garam chai. Counting the change in my wallet before boarding a train last week, I lamented to my friend, “I have only 20 Rupees. 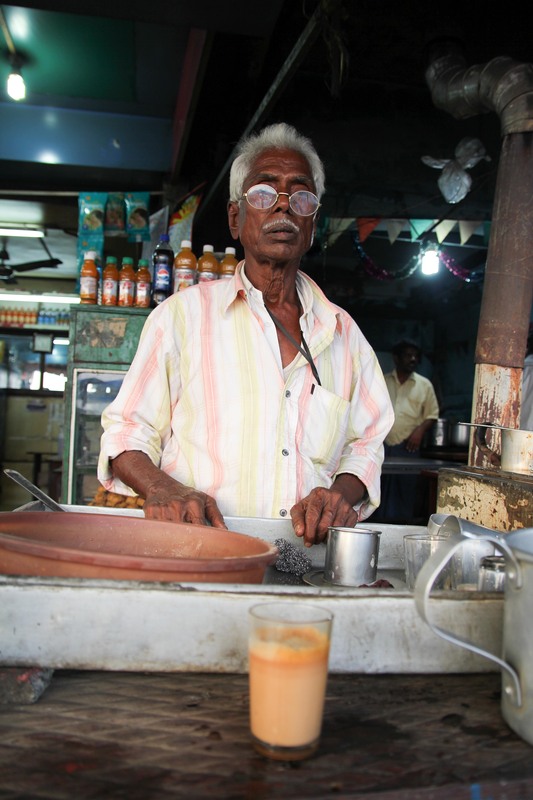 Just one cup of chai for each of us!” to which she responds, “I have 20 Rupees as well. Two cups each, we’re covered.” After all, what better sustenance for an eighteen-hour train journey.